Seventy years before the events of the Harry Potter series, writer Newt Scamander’s briefcase accidentally lets several dangers creatures escape into New York City. 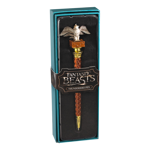 Now you can collect your favourite fantastic beasts as pens! 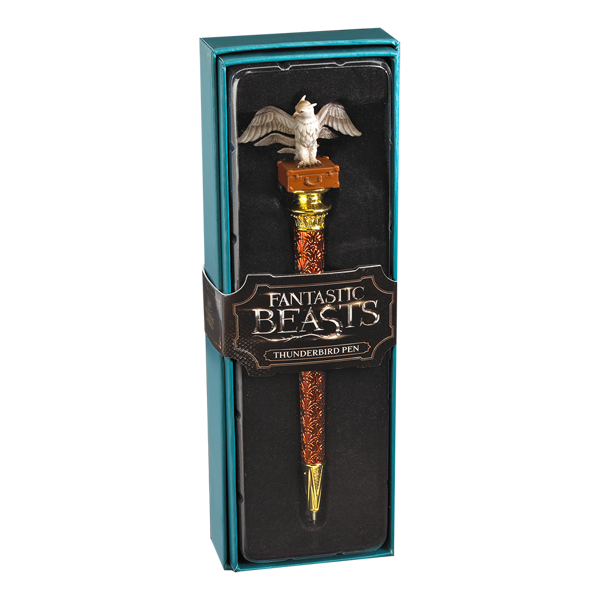 This pen features the Thunderbird, a flying beast that can sense danger, and create storms as it flies. Its tail feathers were used by Shikoba Wolfe to create powerful wands, particularly good for Transfiguration. Add it your pencil case today!